Acupuncture For Asthma: A New Possibility? Is acupuncture for asthma? People who suffer with breathing difficulties and have tried various methods of treatment may be curious about the possible connection between asthma and acupuncture. This is a new way of looking at an old remedy that has worked for many individuals in Asia. Since some patients have reported experiencing temporary relief of their symptoms after receiving acupuncture for asthma, some clinical trials have indicated that alternative forms of medicine may be a potential treatment option. But you may have to experience it for yourself to see the benefits. Acupuncture, originally an Eastern method of alternative medicine, operates on the belief that all forces in the universe have both good and bad energy. These types of energy are referred to as "yin" and "yang" by acupuncturists and their goal is to help patients attain a balance between these forces. Some practitioners believe that asthma and other diseases indicate that a person's yin and yang are out of balance. 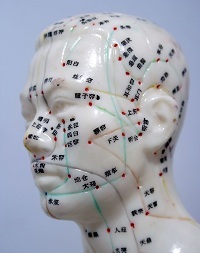 During acupuncture, the practitioner uses tiny needles to stimulate certain points on the body that is connected to health and well-being. With acupressure, the fingers, hands, and elbows are used instead of needles. With gentle manipulation, the practitioner seeks to realign the energy force that is causing the physical disorder such as asthma. While acupuncture for asthma may provide certain benefits to some asthmatic patients, the therapy has not been recognized by professional doctor organizations or groups. Currently, there is insufficient research to show the effectiveness of this type of massage. You will have to base your trust on centuries of Chinese medicine that has used this as a solution to their ailments. A few people have suffered serious side effects after receiving treatment from unskilled or unqualified practitioners. Use of unclean needles can infect patients with dangerous blood diseases, including HIV and hepatitis. You should get recommendations from a healthcare professional who has had experience with this therapy. He or she can answer any questions that you may have. There are also concerns that acupuncture for asthma may not provide solid benefits. In a few case studies, patients who were given a traditional session and those who received a placebo form of the treatment reported no change in their asthmatic symptoms afterward. Individuals who are considering seeing an acupuncturist should check with their primary care doctor before beginning a medicinal routine. He or she may be able to provide information about proven treatment options or references for reputable alternative medicine organizations. During a session, needles are placed into the body at various places that are believed to be central energy points. The needles are left just inside the skin for 20 minutes or until a warm sensation is felt. Asthmatics who regularly receive the treatment have said that their breathing difficulties have lessened after a session. Under certain conditions, you should avoid acupressure and acupuncture for asthma. If you have osteoporosis, your musculoskeletal system is more vulnerable and more apt to be damaged during the procedure. If you have any other medical condition, you should discuss this treatment with your physician. A journal about your adventures with asthma can help restore your control over your life. If you decide to try this procedure you should write about your session and how it affects your breathing. Then you will know if it really works for you. This is not a procedure that should be taken lightly. It is an invasive therapy that can cause permanent damage if it is done incorrectly. But when it is done correctly, it may decrease your breathing problems so that you have one less thing to worry. Asthma management is not an exact science so you can try different natural remedies and see what works for you.